All Animal Eye Services is a fully equipped eye hospital for animals. We are proud to have the latest diagnostic and surgical equipment and medicines that enables us to effectively treat your pet's eye problems. Most of the equipment and medicines we use are exactly the same as those used in human hospitals. 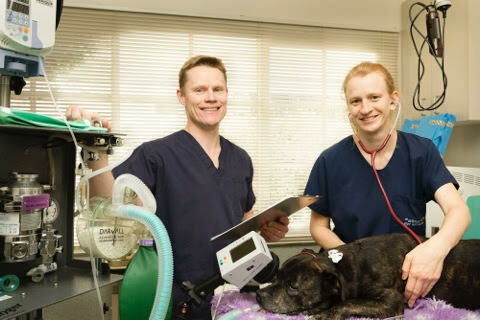 We frequently perform surgery on many different types of pets, including diabetic and elderly patients, using very safe anaesthetics and the highest standard of monitoring. Routinely performed surgeries include eyelid remodelling, corneal surgery, cataract surgery, other lens surgeries, tumour removal, prosthetic eye implants and more. As we only perform surgery on eyes, we do not have the equipment to offer other surgeries such as de-sexing or dental procedures. 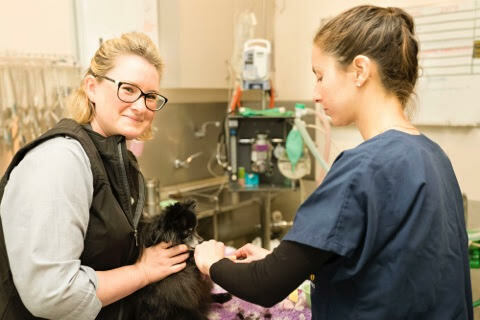 All surgeries are performed as day procedures, allowing your pet to be back home with you as soon as possible after surgery.